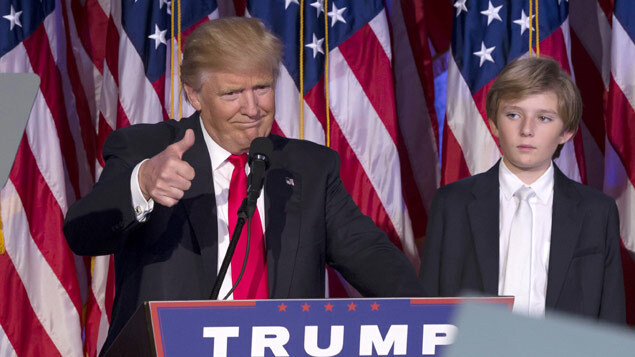 CIPD chief executive Peter Cheese has called for HR to step up to the corporate agenda after a “turbulent year” which has seen Donald Trump take victory in the US election and the UK’s historic vote to leave the European Union. He said that Brexit and the growing loss of faith in the establishment – exemplified by today’s election of Trump – highlights the need for HR and business to step up and for Government to take meaningful action to deal with issues that have been avoided in the past. Opening the CIPD Annual Conference and Exhibition in Manchester, chief executive Peter Cheese said the recent growing uncertainty demonstrates the need for the HR profession. “The challenges we face in the world of work are not new, but they are now more important to tackle than ever before, in light of events such as Brexit. “We cannot freeze in the headlights of uncertainty, but instead must embrace the opportunities that these challenges bring to drive real and lasting change. “Only by engaging with these issues head on, in a local, national as well as international context, can we build resilient and flexible workforces and organisations that will define what the future of work looks like. “That is why the role of HR professionals is so crucial, as they should sit at the heart of organisations bringing real insights on people, capabilities and behaviours and can have a huge impact in shaping positive and productive cultures. Cheese said that many people had lost their trust in business, with too many scandals such as those at Volkswagen, Wells Fargo, BHS and Sports Direct demonstrating the need for workers to be valued and stakeholders to be held more accountable. “This is a time also for greater transparency, more consistent reporting of how organisations are managing and developing their workforces, building positive cultures, driving value but also better managing risk,” he said. The CIPD is collaborating in this area with other institutions and researchers through its Future of Work is Human programme, and supporting change through Engage for Success and the Blueprint for Better Business. Cheese added that the professional body for HR and L&D was looking at frameworks and standards which need to be “based much more on principles and a strong body of knowledge and evidence, focused on outcomes that will encourage HR and L&D practitioners to prioritise the right things when making workplace decisions”. Meanwhile, responding to the US election result, employment lawyers advised a “wait and see” approach on immigration policies for organisations with US operations or headquarters. While any changes to US business immigration laws will depend on what happens in Congress, it is likely there will be a “renewed push for comprehensive immigration reform”, according to Claire Nilson, immigration counsel at US-UK law firm Faegre Baker Daniels. She said: “Trump has indicated in the past an intention to pause green card issuance in the employment-based categories. It is unclear yet how this might be implemented (if at all) and how it could affect the international business community. There was widespread coverage of Trump’s statements on immigration prior to the election and it was a central part of his campaign. “His main focus will be on undocumented workers, and the ability to move skilled labour to work in US firms is unlikely to be completely stopped. However, it is clear that the task facing firms needing to relocate staff to the US is not going to get any easier.